The Lynx is a very distinctive-looking grav tank and I'd wanted to include one on my collection for some time. 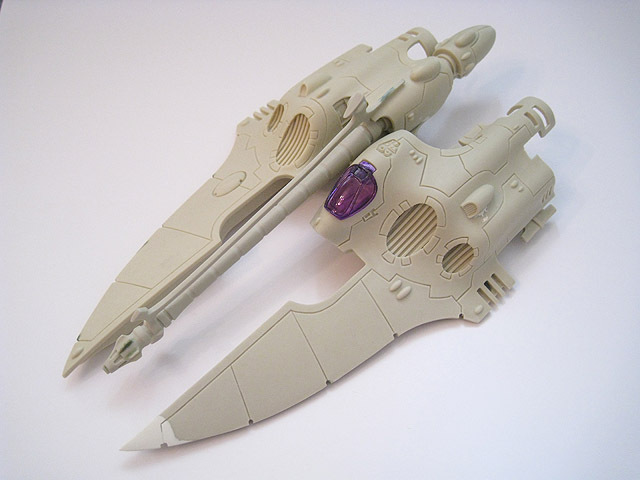 I originally purchased one with a Sonic Lance and had intended to glue that in place. 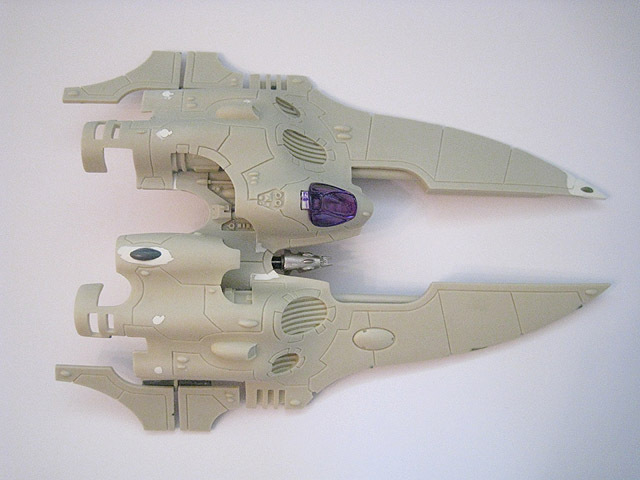 When I later purchased a second Lynx for another project, I decided to magnetise the Pulsar components from that kit so that I had both options available. 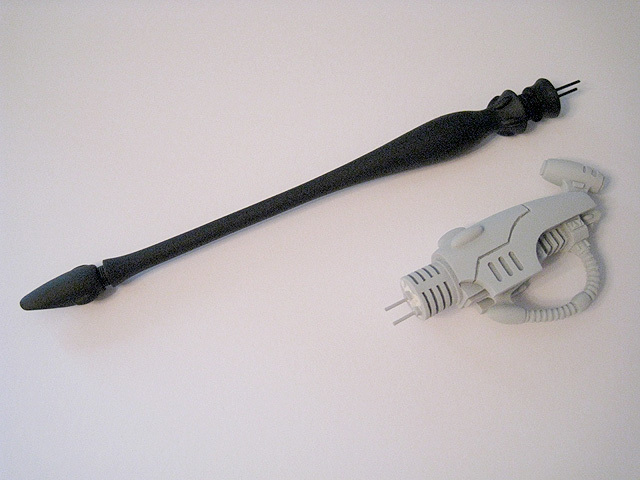 The secondary weapon mount is also magnetised so that it can be armed with any of the heavy weapons available to it. 1. 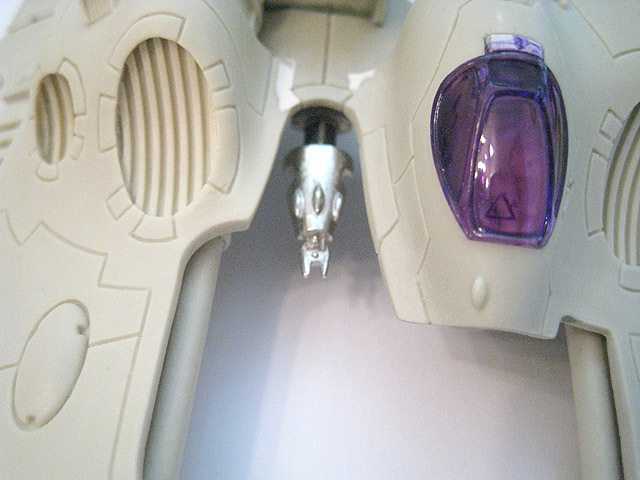 I noticed that the port-side prong was a bit stunted, so I extended it with plasticard and White Milliput to match the shape of the other one. 2. Underside shot of the repaired port-side prong. 3. 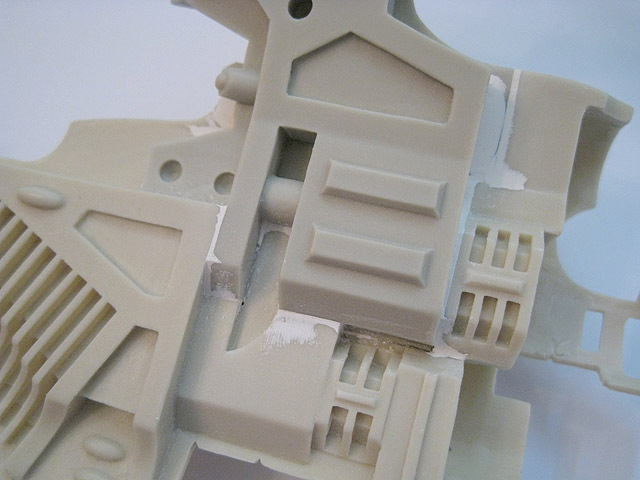 Some gap-filling was needed on the underside to blend the component pieces together. 4. 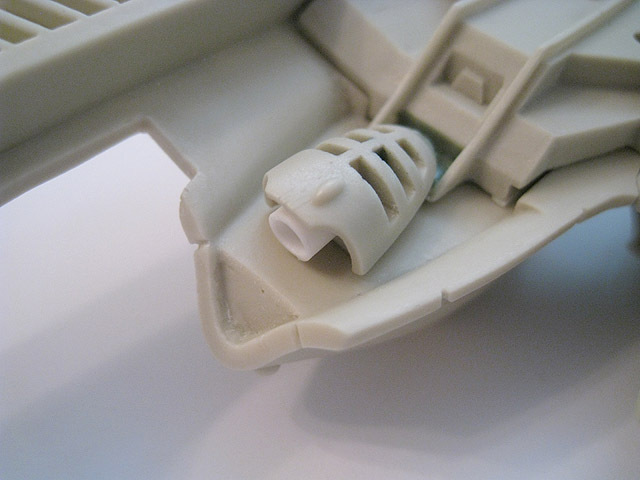 The engine cowlings on the Lynx are normally quite thick - using a file and sandpaper I was able to make them much thinner and more delicate. 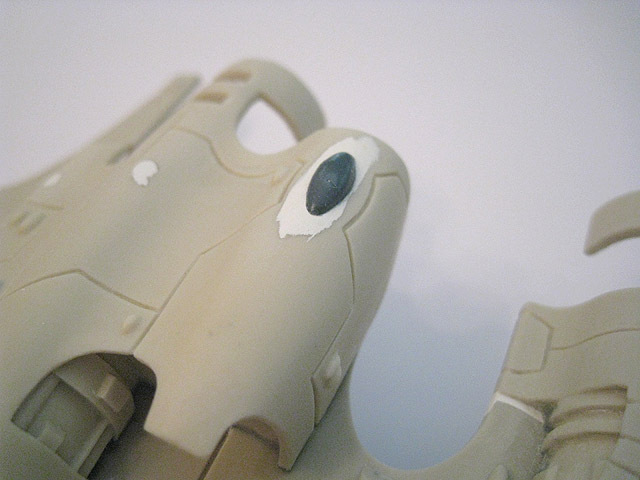 The resin Shuriken Cannon was removed and replaced by a section of styrene tubing, with a magnet recessed into the bottom. 5. 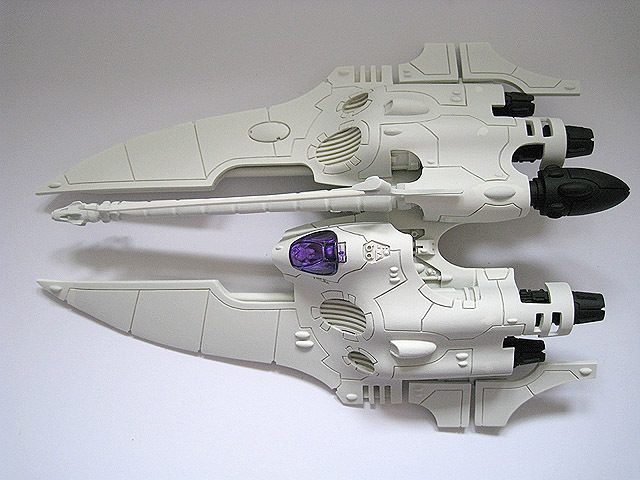 The secondary weapon mount under the cockpit has been magnetised. 6. 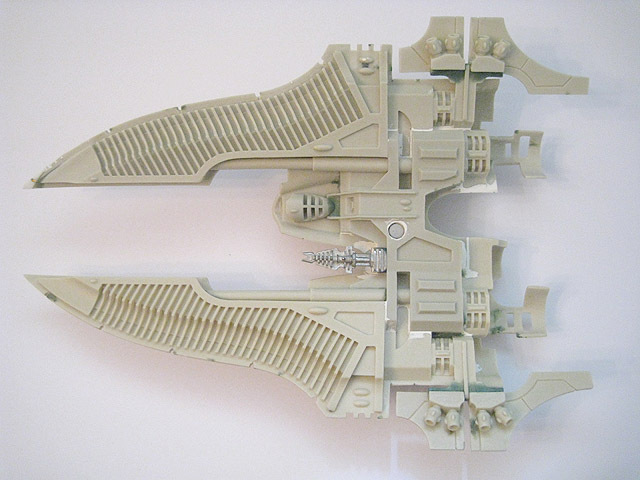 Underside view of the magnetised secondary weapon mount. 7. 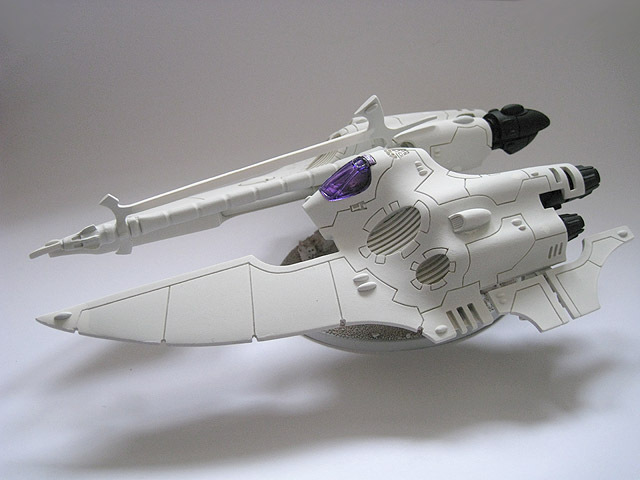 The Lynx can be armed with a Bright Lance, Scatter Lasrer, Starcannon or Shuriken Cannon. 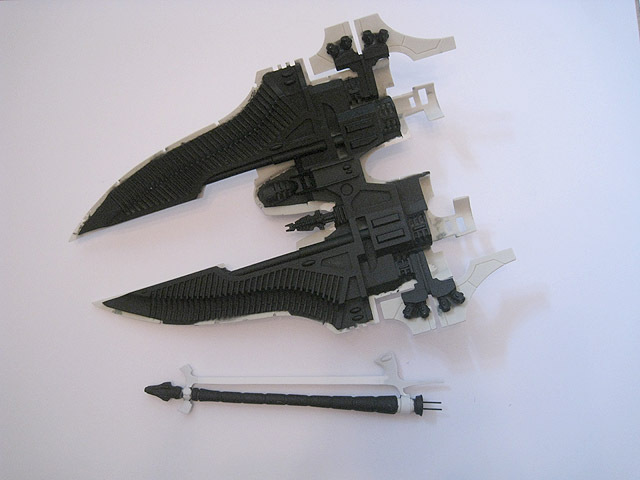 These magnetised weapons are also compatible with the Pegasus and Crimson Hunter. 8. 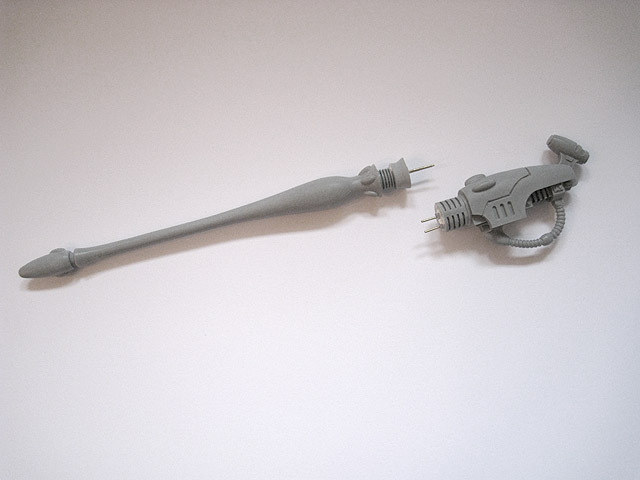 An example weapon configuration. 9. 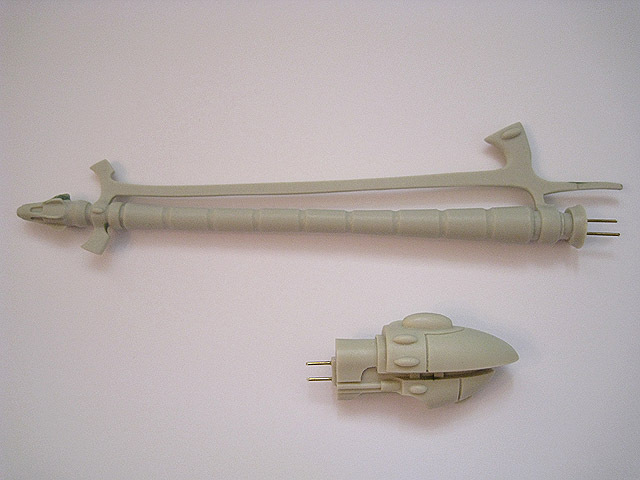 The Sonic Lance needed a lot of work with boiling water to bend it into shape as it was quite deformed when it arrived. It probably still needs a bit more corrective work to get it perfectly straight. 10. A rough mock-up of the Lynx - the engines and fins/flaps have not been added yet. 11. I removed the over-large gem/blister from the upper hull and replaced it with a slightly more modest one, modelled from Green Stuff. 12. I added a classic metal Fire Prism sensor, to tie the Lynx's design in with my Falcons and Scorpion. 13. 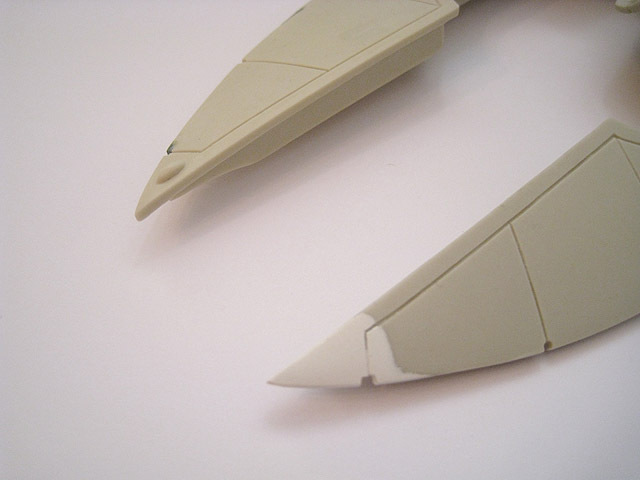 After several attempts to straighten the connecting beam across the top of the Sonic Lance, I gave up and replaced it with a section of plasticard instead. 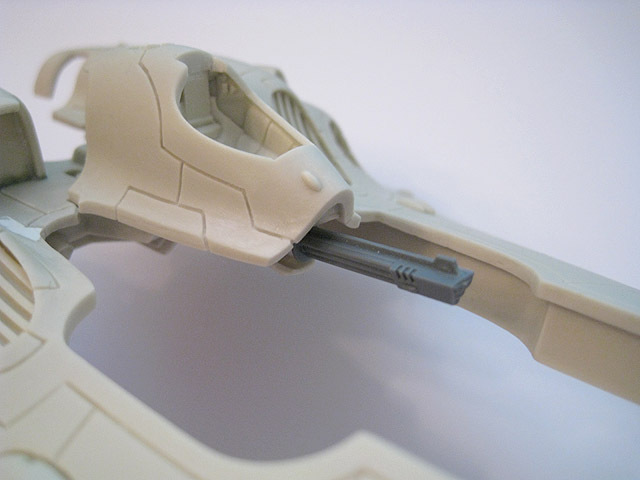 The main barrel of the gun is still slightly warped but it's a lot harder to fix and it's a lot more subtle in real life than it appears in this photo. 14. A top-down shot of the completed Lynx hull. 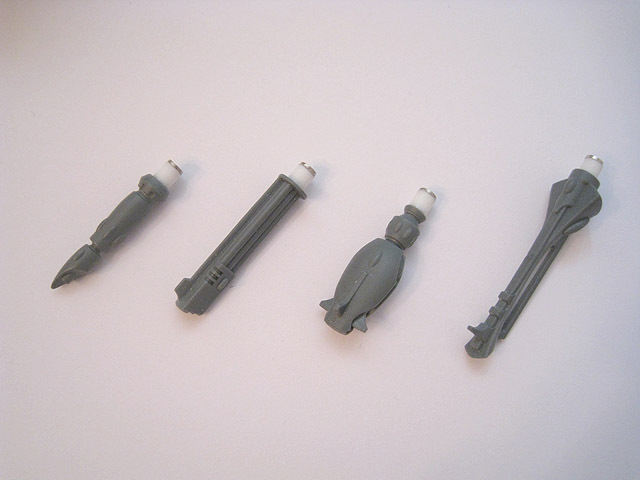 The engines and Sonic Lance have been kept separate to make them easier to paint; they will be glued in place later. 15. 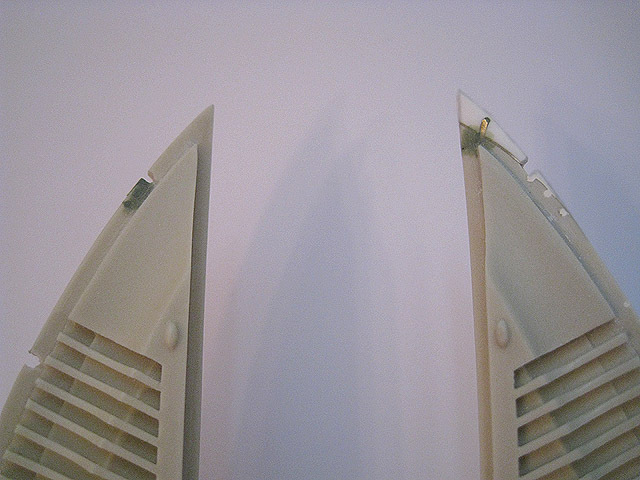 Underside view of the Lynx's hull. 16. 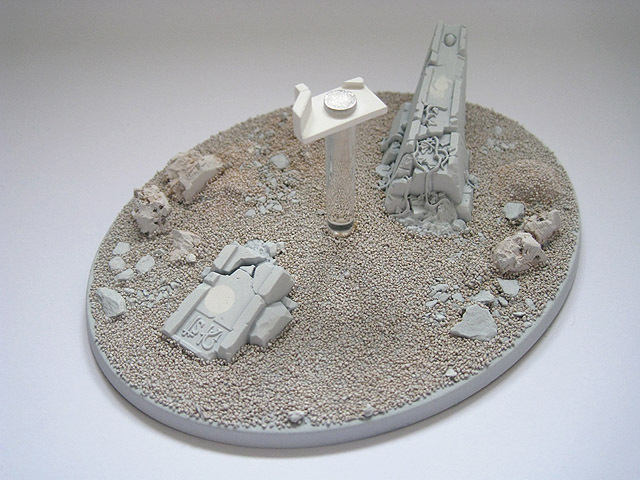 A work-in-progress shot of the Lynx's scenic base, which uses a large oval flying base. 17. The unique shape of the Lynx's underside meant that I had to make a special platform for it to sit upon. 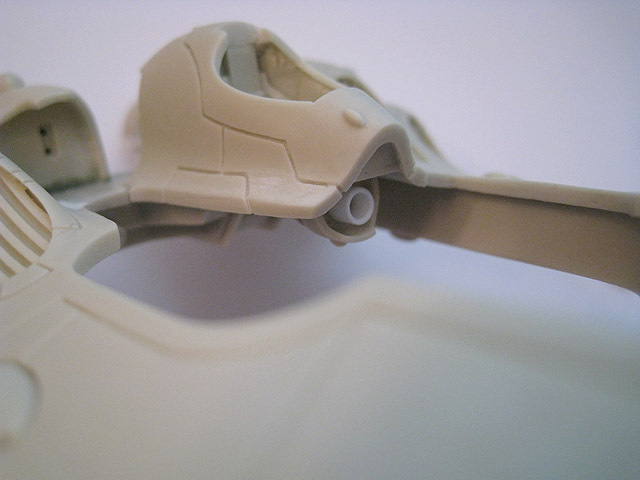 This conforms to the underside of the model, preventing it from rotating on the stand or tipping over. 18. 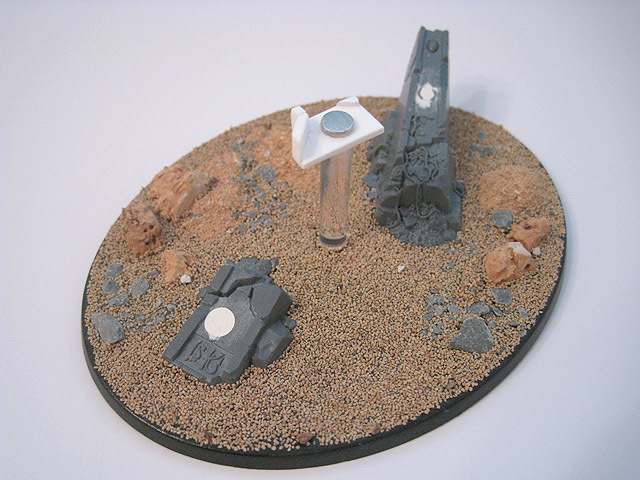 The completed base, waiting to be painted. 20. 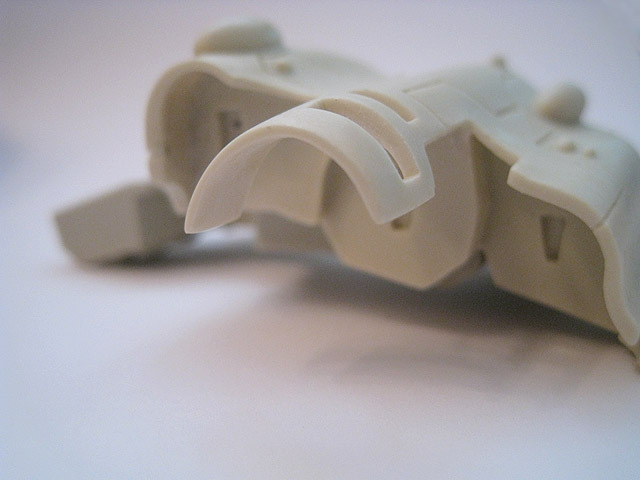 Top-down view of the undercoated Lynx. 21. 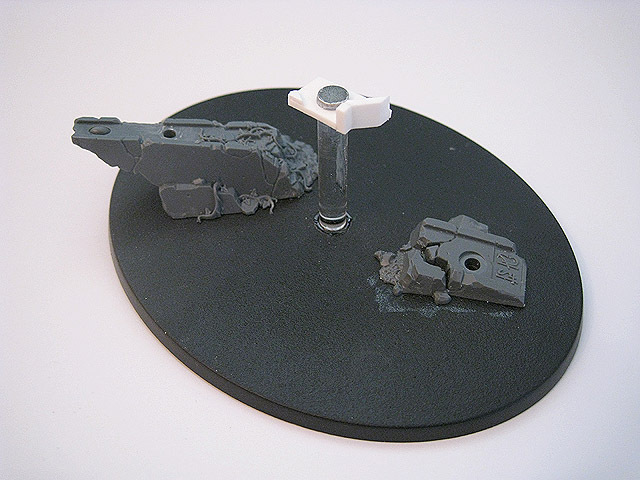 The assembled, undercoated Lynx on its flying base, awaiting painting. 22. With some careful masking, I was able to selectively undercoat the underside of the Lynx (and the barrel of its Sonic Lance) black. 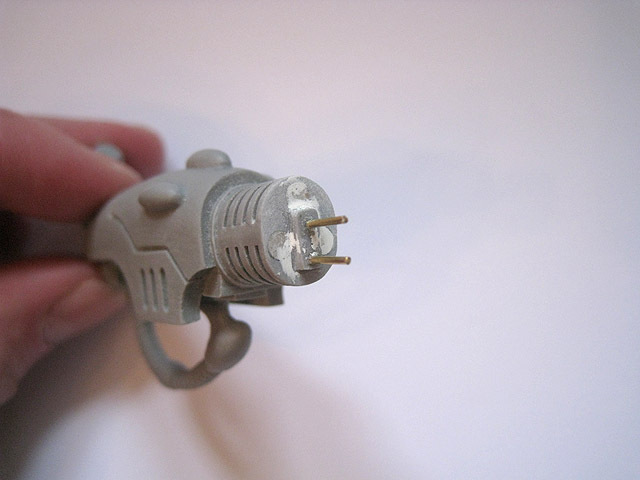 This ought to reduce the amount of time it takes to finish painting the model. 23. 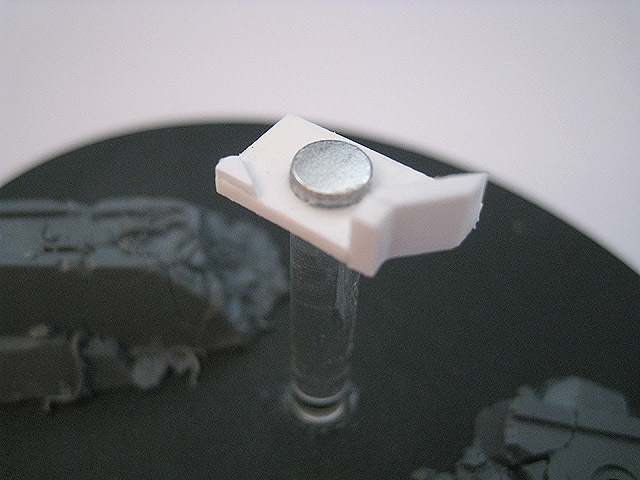 Having purchased another Lynx for my Panther kitbash project, I decided to magnetise the Pulsar (and the existing Sonic Lance) so that I could field the Lynx with either armament. 24. A close-up of the barrel of the Pulsar. 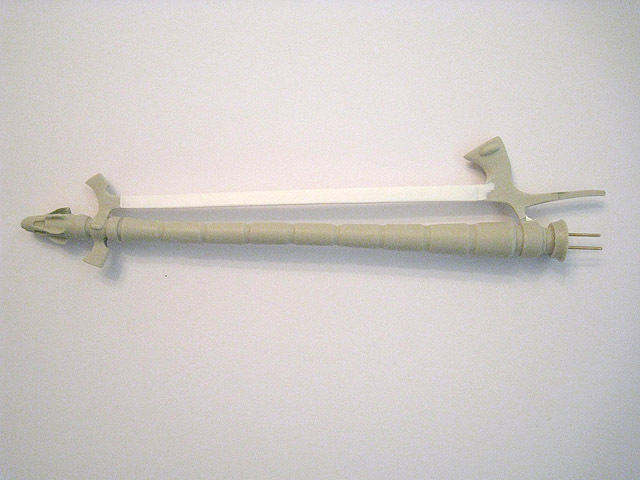 The brass rod pins help to hold the barrel horizontally. 25. 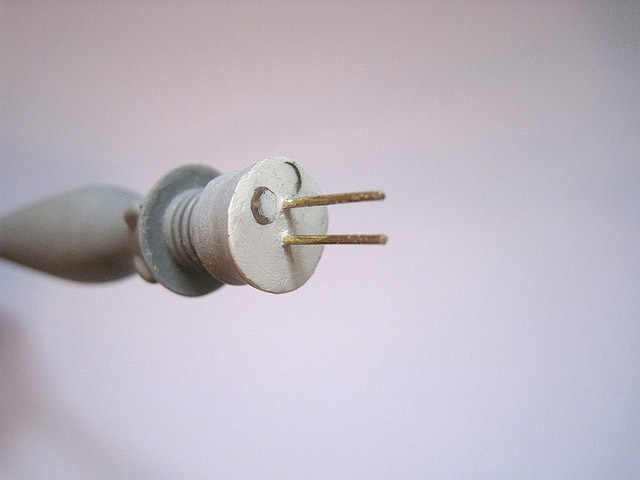 A close-up of the Pulsar Power Generator, with brass rods for pinning and recessed magnets. 26. The Pulsar has now been undercoated as well. 27. 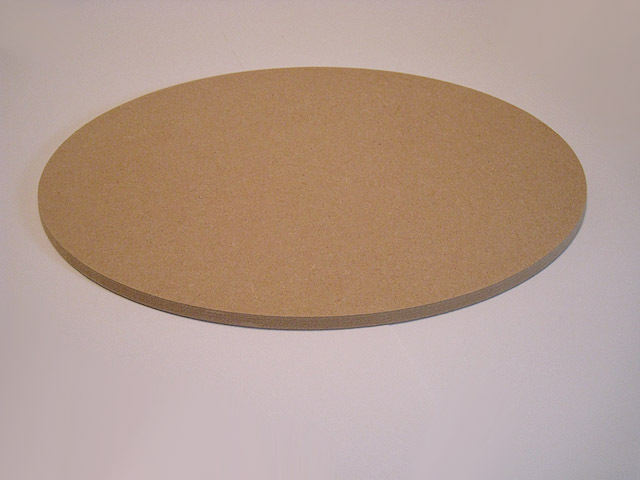 I elected to increase the size of the base for the Lynx, so I had some large (220 x 140mm) MDF bases specially made.